ServiceMaster Clean of Aurora and Newmarket has been providing janitorial services for over 20 years. A clean and well-kept facility is essential in projecting a positive image for your business. 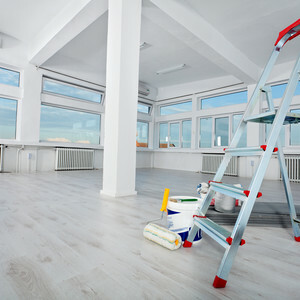 ServiceMaster Clean of Aurora and Newmarket offers a full range of janitorial services as well as other commercial cleaning services to help you look your best. Our commercial cleaning services including regular janitorial cleaning services, hard surface floor cleaning, post construction clean up, as well as other specialty cleaning services for a variety of facility types including offices, healthcare facilities, industrial, sports facilities, retail stores, public entertainment venues and more. At ServiceMaster of Aurora and Newmarket, our cleaning staff is highly trained and experienced. They pride themselves on delivering an extraordinary clean and outstanding service. You can count on ServiceMaster of Aurora and Newmarket to enhance your image and provide a healthier work environment. We provide a cleaning plan that is right for your facility and your budget. Contact us today for a no obligation estimate.